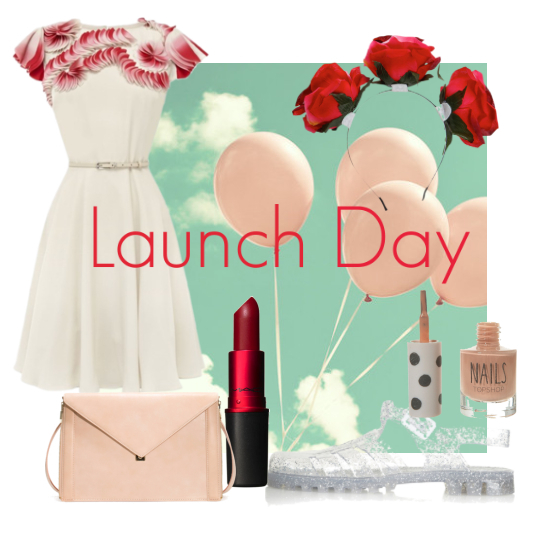 In honour of launch day, I have created this ultra-feminine, fun, flirty party look in soft pinks and daring reds with everyone's favourite nostalgic footwear, jelly sandals. This gorgeous 50s inspired dress is from Top Shop, one of the most accessible go-to stores on my list right now. I purchased these very same Jellies (clear with silver glitter- the same style I had when I was 6) from Dakota 501, a denim/street wear store on Chapel Street in Melbourne. Be sure to check in each day for my daily style diary and updates on upcoming projects.